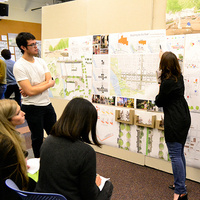 Information session to provide further details on the Graduate Programs within the School of Architecture and Environment (Historic Preservation, Interior Architecture, Landscape Architecture, and Architecture). Once individuals have registered, a confirmation email will be sent a couple of days before the event. For futher information, please contact, Jessica Wu at jwu21@uoregon.edu.